I do this work because I love seeing people ‘wake up’ to their soul’s purpose and sprinkle their gifts amongst everyone they meet. I care about every person that comes to me for guidance and I want to see them succeed in life. I put my heart and soul into every exchange. And I want to be valued, genuinely, for my experience and the loving energy I put into working with my clients. I also need money to live in this world and continue helping more people. Why Pay From Your Heart? Money should not be the primary driver (or barrier) for whether or not you utilize a service that you genuinely need, or for creating business relationships. Pay From Your Heart invites you to listen to your heart, rather than just your head, for the subtle or significant impact a service has had on you and your life. Often some people *want* to pay more than the fixed price, whatever that may be. It therefore gives them the opportunity to make a generous contribution to endorse and support the service as ongoing to continue helping others. With Pay From Your Heart, it’s less about what you can afford and more about what you value. How much do you value the outcome of this program? Pay From Your Heart is based on a fair exchange: The value you place on my time and expertise, merged with the value you place on the outcome of the program. 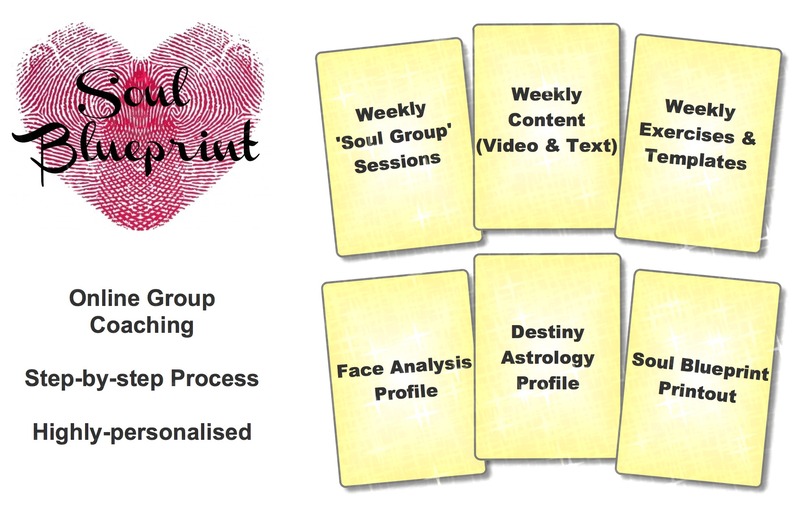 Whilst the Soul Blueprint program is one-of-a-kind system, there are other services out there designed to connect you with your soul’s purpose. A program like this could cost anywhere between $400 and $1,000 (I know, because I’ve bought them myself!). So how do you know what to pay? FROM YOUR HEART: Feel the value of this solution and all the education, inspiration, testing and love has gone into it, to you in your life now. How important is it to you to receive this now in your life? (personal value) This is the amount to choose, as your mind has already taken into account the factual details, and it can safely open to your ‘heart price’. Remember, there is no ‘right’ amount. And remember, that your heart will not make a decision based on fear, so you will know when your heart has chosen an amount that feels good – it will feel free, light and happy. Once you have determined the dollar value you place on this program, you will need to pay 50% of this amount online to enrol. In the final week of the program, you will be provided with a link to make your final payment – a dollar value which shows your appreciation for the program. The program will officially run from 24th November to 14th December 2014. Full logistical details of the program itself can be found here.